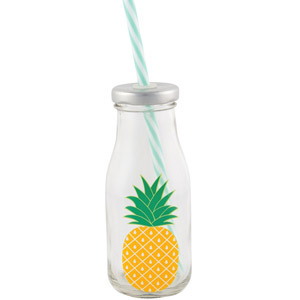 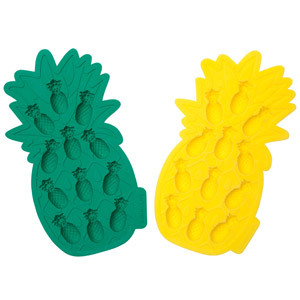 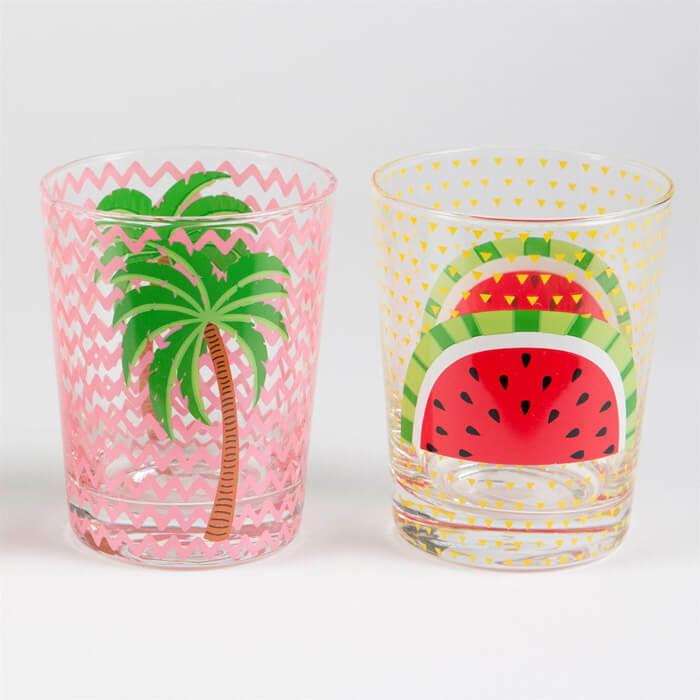 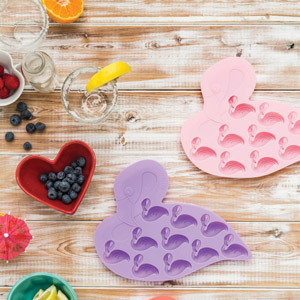 The Tropical Summer Glass Tumblers are perfector exotic cocktails and fruity drinks in the summer. 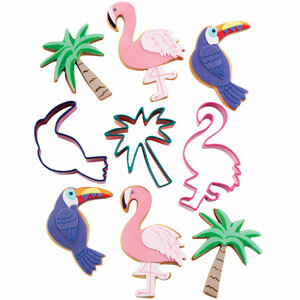 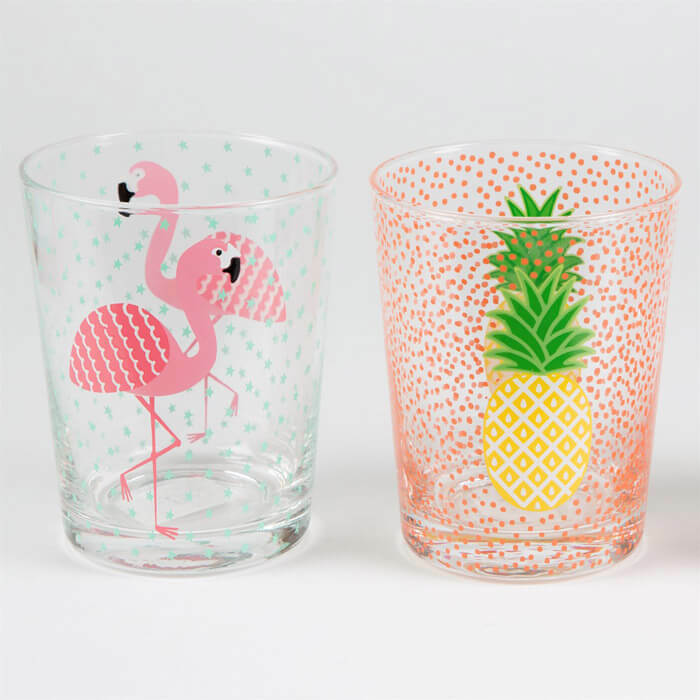 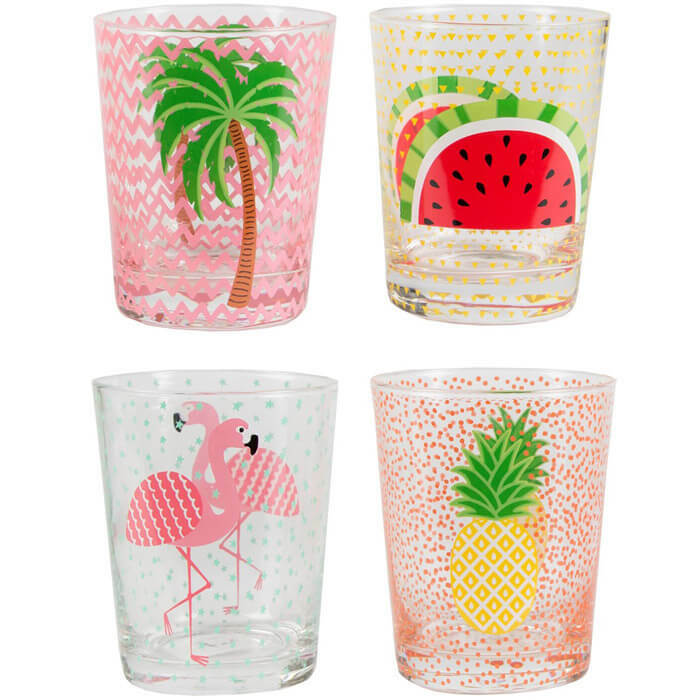 Each glass has one of the four designs, featuring either a palm tree, pineapple, melon or flamingo. 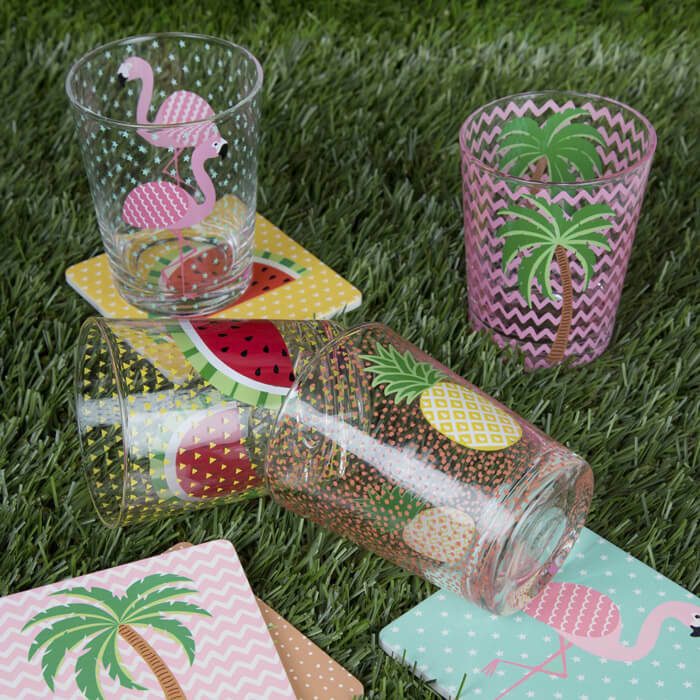 This set, makes a lovely picnic or party item!